Professional & Reliable Window Cleaning Services in Mere GreenÂ , Four Oaks, Little Aston, Streetly, Boldmere, Sutton Coldfield and beyond. "Tony has cleaned our windows for 6 years and we have always been delighted with the service we receive." 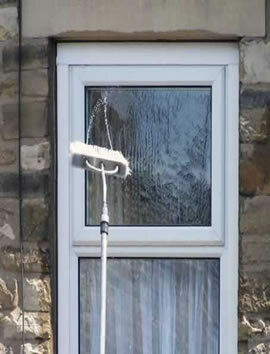 From homes to businesses, shops to schools - Tony Lee Window cleaning services has the solution for every job. We have years of experience in business and offer a full SATISFACTION GUARANTEE with all our services. We cover Walmley, Minworth, Whitehouse common, Falcon Lodge, Roughly Farm, Mere Green, Four Oaks, Little Aston, Streetly, Boldmere, Sutton Coldfield and beyond. The prices below are a guideline & do not represent a fixed quotation. Bimonthly cleaning (6 cleans per year) from £20.